Ramblings and random thoughts about everything baseball. Ranging from subjects like why Nelson Cruz is underrated, to why Dayton Moore is dumb. owed $8 million next year, about six million more than he is worth. part of the solution to Burrell leaving. back-up in case of injury. deserve to be in AAA, but he has no place with the Nationals. how much they will pay of Kearns’ salary. (A+), and maybe get a taste of Double-A before the season ends. probably be flipped over to another team. you noticed there were no lefties in the pen. 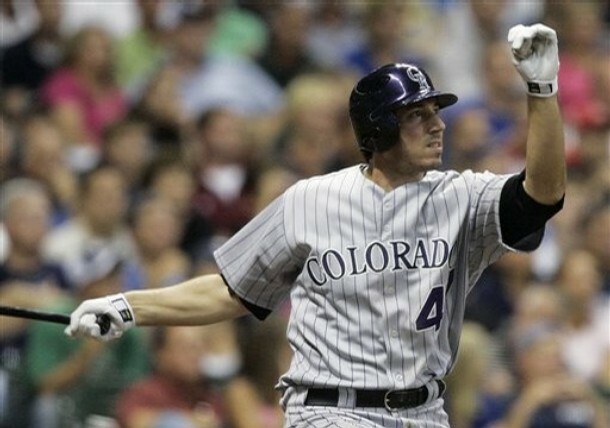 in Colorado, so the Rockies need to trade him. Rivera will win the Rockies over. Young can return completely healthy. it won’t be long before they go back on the DL. time to move on and try something else. Casto can still make the team next year. minor league power and bring it to the bigs. should next year in Double-A Harrisburg. won the World Series in 2006.
fit for Belliard and the Nats. 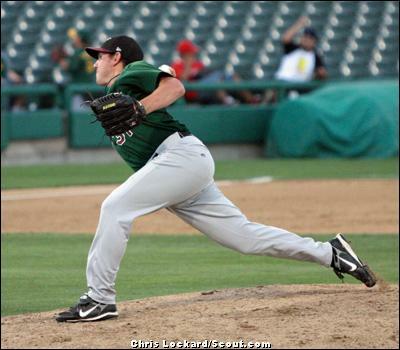 had a 2.40 ERA this year in Visalia (A+) in his first professional season. 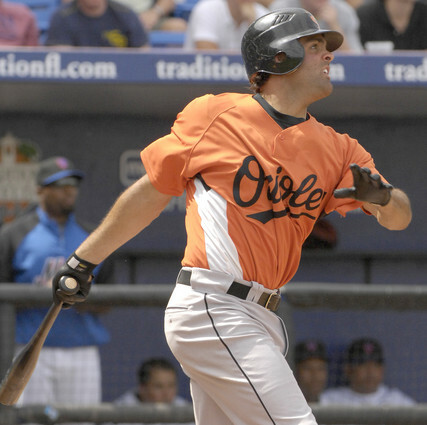 the Bird started the diet in 1998, the team is 98 games below .500. Ouch. Wild Bill Hagy. 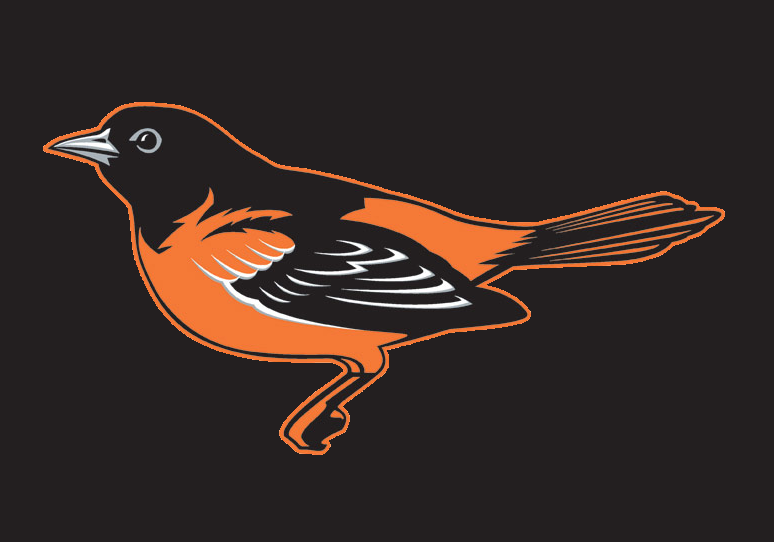 Thumps up to the Orioles front office. This is their first sign of intelligence since they designed Camden Yards. Escobar should be ready for the majors by next year. and a join a playoff team. as their shortstop of the future. baseman, and Mora will move on to another team. will need to throw in a pitcher like Brian Bass or Chris Waters. for the 5th spot in the 2009 Brewers rotation. 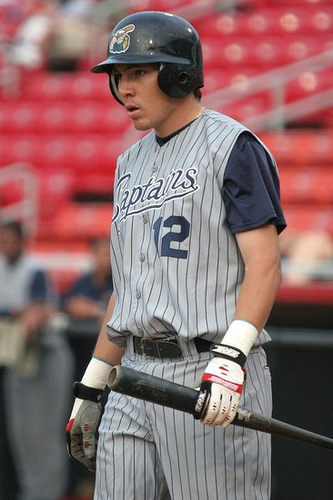 Capuano to Nashville (AAA) since he missed all off 2008 after having Tommy John surgery. up at least 350 at-bats in a full season. to fill in on Melvin Mora’s off days. 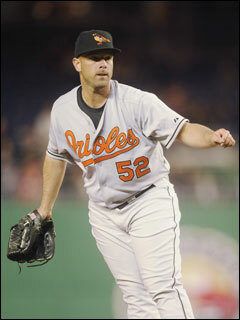 and has racked up 361 games at the hot corner in his nine-year career. 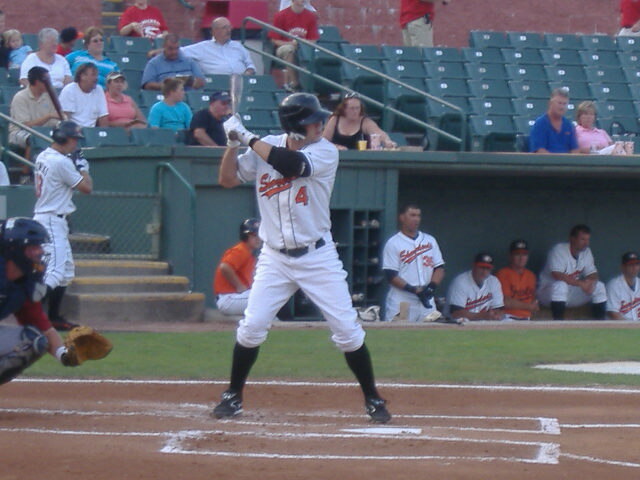 Orioles prospects, had a very disappointing year after a promising 2007. Frederick, Henson will be forcing Rowell (right) to first base. years old entering Opening Day 2009). Rowell finally becomes a good player. AAA, his production has seriously slipped. Moore (probable DH) also play the hot corner. 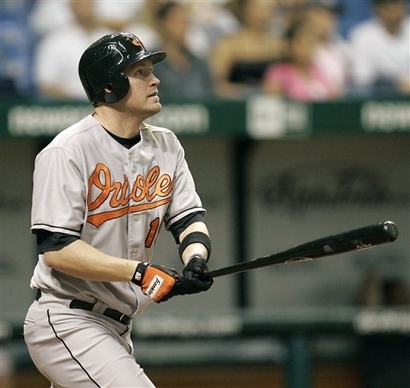 Orioles should first ask from the Indians is Mike Pontius. Class A Advanced Kinston, but so what? level (2007 high school draftees in their second full season). other legit prospect at 2B, Adams who is only in A-ball. for both GMs Andy MacPhail and Omar Minaya. pitch better than his 4.73 ERA indicates. specialist like he was in Seattle. workload that ultimately pulled Sherrill’s numbers down. 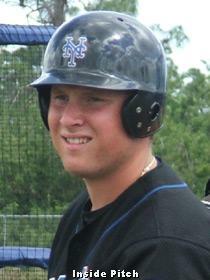 Castillo in the Mets lineup. club in the next two years. prospect the O’s acquire in this deal. 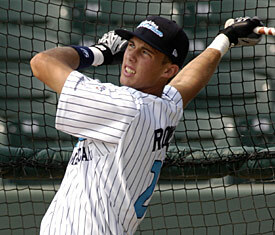 (AA) starting third baseman in 2009.
want to have your good depth of talent to derail a player’s career. of the Twins or White Sox. with and a lot to disagree with in this post, so let me hear it ALL. Good or bad. just screwing it, and jumping into the celebration pile. That gave me a little smile… here’s the video. Jim Bowden has a weird mind. First of all, it’s obvious that he was the former GM of the Red because well, half of all the players he acquires are former Reds. Austin Kearns, Wily Mo Pena, Aaron Boone, Felipe Lopez, Ryan Wagner are all former Reds and now in Washington. One thing, I have noticed about Jim Bowden is that he plays favorites. I usually don’t like saying things like that but I’m not stupid. I know that Brandon Watson, Ryan Church, and Chris Schroder didn’t get the same treatment as Felipe Lopez, Wily Mo Pena and Jesus Colome. 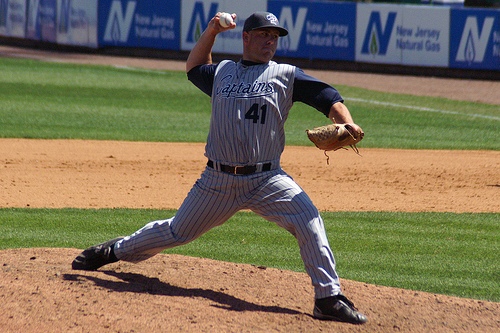 Brandon Watson was named the starter in spring training of 2006. After nine games, he was sent down. Not only did the Nationals ultimately let him go, but then preceded to come back to Nationals and have the longest hit streak in the history of the International League(AAA), and what to the Nats do? The Nats call him up for four days, and after hitting .275 and having the best game of his life he gets demoted. Well of course, his self-confidence shattered, he struggled the rest of the year in AAA. He must have thought “what do I have to do? I broke a hit streak record that lasted 83 years, I have the best game of my life, where I basically won the game for them and then after four games, I’m back in Columbus and guys like Nook Logan, Preston Wilson and Marlon Byrd are playing in the majors? !” Seriously, Watson was in his prime right then and there, and Nook Logan is starting for the Nationals? Just n case you are wondering, Watson is currently in the Phillies organization repeating Triple-A for the fourth time. In his first season he hit .293. As of now, he’s hitting .300. That’s fair. It was. 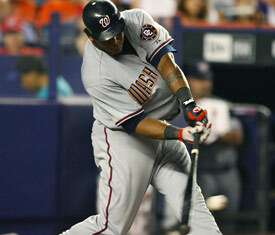 On August 17th, after the trading deadline, Bowden announced he acquired Wily Mo Pena. And yes, Pena would be the starting left fielder, an yes, Logan (0 HR .310 OBP) would remain the starter in center. Outrageous. The third player, Bowden seems to have a grudge against who is still in the organization, is Chris Schroder. Schroder made his ML debut in 2006 at the age of 28. For the most part he struggled. I happened to attend the best game of his career at that point. He went 2.0 innings and struck out every batter. But overall, he wasn’t very good, a 6.35 ERA backs that point up. But they really did the right thing by calling him up because he was mowing down hitters at AAA, and was considered a valuable strikeout pitcher. Something that the Nationals needed at that point. He had a 1.52 ERA in AAA, so there was an urge to see what he could do in the majors. 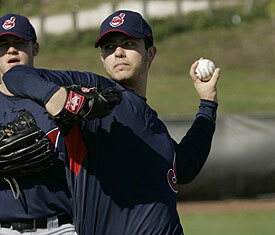 Going into 2007, Schroder started in AAA, but after recording a 1.62 ERA there he was back in the majors. After that call-up, Schroder became one of the best relievers on the team, with a 3.18 ERA in 37 appearances. Schroder made the club out of spring training as expected. But after only two games, with the Nationals, they sent him down. Why? I have no idea. Here is how he did in those two games….. So a guy, who had a 3.17 ERA in 37 games last year gets called down after those two games? Weeiirrdd. So after having an ERA below 2, in Columbus , Schroder finally gets called back up. I’m thinking – “OK, that was really weird but he’s back up now.”. After ONE game, ONE, he goes back down. What did he do that game? 1 and a third innings, 1 hit, one walk, NO RUNS. What?!?!. In case, you’re wondering some of the guys that are getting called up when Schroder gets called down, here they are – Brian Sanches, Charlie Manning, Steven Shell, and Ray King. OK, so Manning is left handed, so there is a reason, but King was an ineffective as a lefty specialist, and Sanches, well, I don’t even know what Bowden was thinking. Shell was good, but why not Schroder? I just don’t get it. So when Schroder was called up again, I didn’t know what to think. Nine days after his last appearance, Schroder came in against the Phillies, and didn’t that well. HE gave up two runs in one inning, but when I heard he was getting called down again, it was obvious Bowden has something against him. did, but he’s in Washington, and Schroder is in Columbus. Ayala has 5.40 ERA, but since Bowden likes him, Ayala shouldn’t worry. Jesus Colome has been even worse, with a 5.71 ERA, but Colome has been in the majors the whole season. It’s unfair. Schroder is younger than Colome, too. But, as I said before, Pena shouldn’t worry that much because as long as Bowden is the GM of the Nats, he’ll have far more time and opportunities to “prove himself”. I don’t know, Pena been playing in the majors for seven years. It seems silly to still try to let somebody “prove himself, who’s been playing that long. Yes, I’m aware about Pena’s age. He’s 26, which is not necessarily, the cutoff point for breakout years, but seriously, Pena is a home run hitter who has only hit 2 home runs. Oh yes, and a .245 OBP. Bowden plays favorites. It’s obvious. He likes Austin Kearns, Wily Mo Pena, Felipe Lopez, Ryan Wagner, Luis Ayala, and Jesus Colome. He has grudges against Chris Schroder, Ryan Church and Brandon Watson. 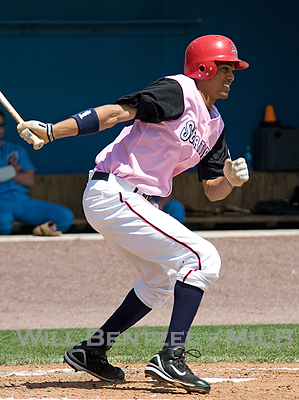 If Bowden could just be honest with himself, Mike Daniel (pictured right in the snazzy pink jersey) would be starting left field for the Nats, and Wily Mo Pena would be a Clipper. Jesus Colome would be released or sent down, and Chris Schroder would be the seventh inning set-up man. Felipe Lopez would be traded for some low-level prospects. 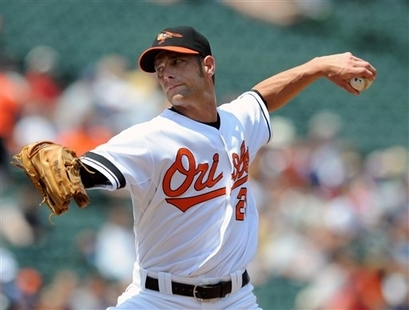 Perhaps, the Orioles, or Dodgers would be possible future destinations. from the Cubs is actually Eric Patterson. He’s seriously underrated. But where will he play? He’s blocked by Mark Ellis, Travis Buck and Carlos Gonzalez. ?????? I’ll leave you with two theoretical trades: Jack Wilson to the Dodgers for Ivan DeJesus Jr, Felipe Lopez to Orioles for Sean Gleason. Well, I was in the middle of writing a long post about the Phillies transaction of bringing R.J. Swindle up, Brett Myers down and Chad Durbin coming into the rotation. But of course, perhaps the Phillies read my mind and are keeping Durbin in the pen. They also sent R.J. Swindle down, and recalled J.A. Happ. The post I was writing was basically why the Phillies need to send up either Happ or Brian Mazone from AAA, so Chad Durbin could remain a reliever, where he has shined. The Phillies did what I thought they should do, except for one thing. In the “Lost Post” I mentioned (before I stopped writing) that I thought that Swindle actually deserved a call-up, and I was going to discuss why he was way better than other Phillies relievers that are still in the majors. Brad Lidge, 31, 0.77, Dominant closer who’s 19 for 19 in saves. Chad Durbin, 30, 1.50, You don’t mess with something that’s finally fixed. Ryan Madson, 27, 3.07, Nucleus of the bullpen, just as valuable as Lidge. J.C. Romero, 32, Way more than a lefty specialist, although he is great in that role. Rudy Seanez, 39, Having an unbelievably great year, perhaps will stay around another year or two. Tom Gordon, 40, I don’t care about how much experience he has, he’s been bad since the end of May. Clay Condrey, 31, He’s not dominant, but can play many different roles. Explain to me why R.J. Swindle is back in on the farm, while Tom Gordon is 40 years old and has 6.48 ERA in last ten appearances is still with the Phillies. Swindle has been awesome, and just take a look at those BB/K ratio. Nasty. Plus he has a 55 MPH curveball. All hail the ephus! Explain to me why Gordon, who hasn’t been good the past two years, is still considered better than Swindle. I actually know why; because teams just can’t get over a player’s reputation even if truthfully they know another player can do better than him. It’s hard to explain exactly, but it happens. If the Phillies would release Gordon, they would still have to pay a large portion of his salary. They could send him down, although I’m not sure his current contract would allow it. Truthfully to be respectful, I think you trade him for a low to mid level minor-leaguer. That would relieve the Phillies of the of a larger portion of Gordon’s salary, depending of the specifics of the trade. If the other team is smart, they make the Phillies pay up to 50% of Gordon’s salary. Just trade Gordon to any team that needs bullpen depth. I’m thinking maybe the Tigers, Dodgers, or Brewers. Of any trade involving Gordon, the most important aspect would be how much each team pays of that 5 and a half million. Still, hear are some minor-leaguers that could be involved in deals. He’s hammered at every level in the minors, and is blocked in LA. 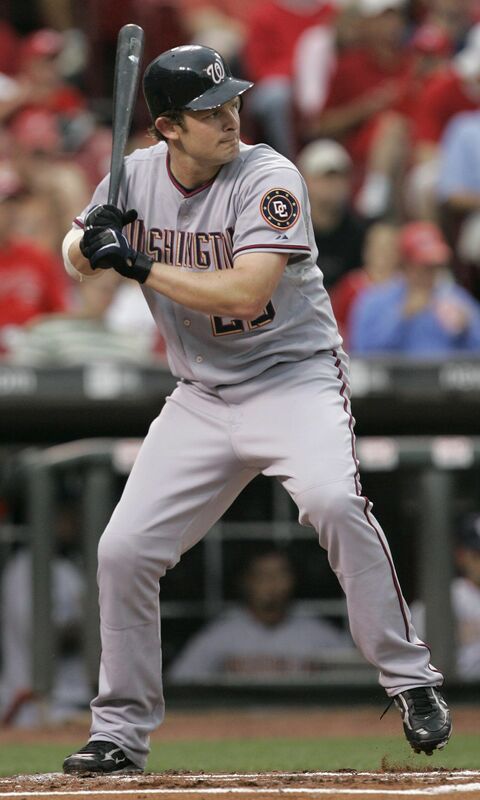 If Geoff Jenkins and Pat Burrell both leave after this year, he could play a big role in 2009. I see the bad numbers, but Bazardo is extremely young and had a very good year in Toledo last year. He’s a ahead of his age, but Yorman and Detroit don’t quite click. The Phillies need more young starters after Kendrick and Hamels. Bazardo looks like he could use a change of scenery. Gillespie is very similar to Young as a player and the position he’s in. He blocked in the outfield in Milwaukee, but has done well in the Minors. Young is more experienced than him, but Gillespie may have more power potential. Brantley has been very consistent in his career so far, and has a huge amount of speed. His .OBP is great and has over twice as many walks as strikeouts! He looks to be ready for the majors by, at the most, age 24, but, like Gillespie, is blocked in Milwaukie. He could move Victorino over to right if the Phils make a deal for him. Every catcher in the Dodgers system should hope to get traded unless they want to be a back-up. Russell Martin will be there for a long time, so Santana could be future trade bait. Santana had a bad year last year in the Midwest League(A), so it would be a reasonable thing to say that the high altitude of the California League is helping him. But hey, he’s putting up some sweet numbers. I’d jump at the oppurtunity to acquire Santana for Gordon. Any of these players I’d trade straight up for Tom Gordon. Of course that would never happen considering Gordon’s salary, but the Phillies should try to gripe (is that a word?) away some of these players. Heck, include Mike Zagurski in the deal. Well, I plan on talking about the Nationals, Mariners, and Giants in the near future. See ya.